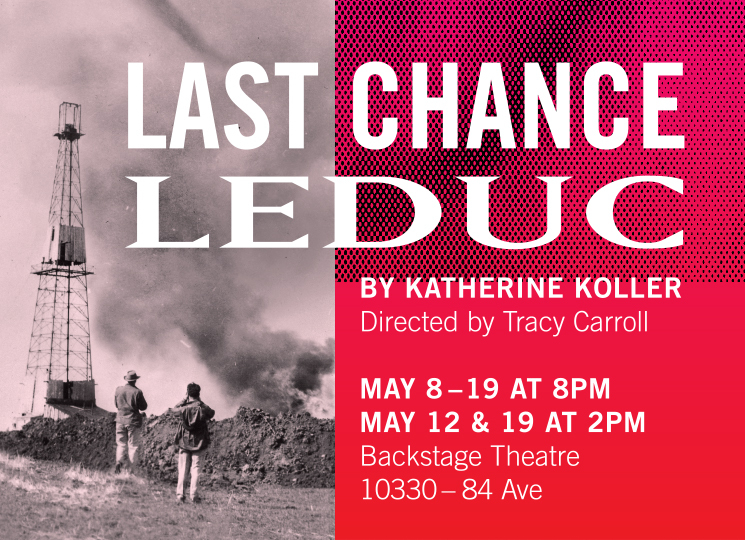 To celebrate Opening Day 2018, an advance reading of Last Chance Leduc by Katherine Koller and directed by Tracy Carroll will be presented at the Leduc #1Discovery Centre in Devon, AB, at 7 pm on February 13, 2018. Reception to follow. Read by Darlene Auger, Emma Houghton, Oscar Derkx and Evan Hall. 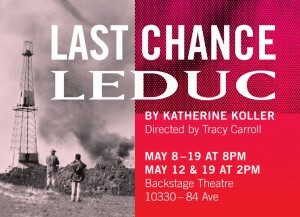 Tickets are available by calling Leduc#1 at 780 987 4323. See the full production at the Backstage Theatre, Fringe Theatre Adventures, from May 8-19, 2018.